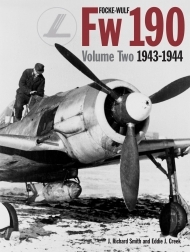 "If you have an interest in the Fw190, and have not yet come across this significant series of books, then this is a mistake you need to rectify fast. This volume looks at the FW 190A-6 to A-10, as well as the F and G fighter bomber development, covering the first operations by the Schlachtgeschwader until spring 1943, Fw 190A-6 and A-7 operations until the end of 1943, Fw 190 A-8 to A-10 and operations in the west until June 1944, Fw 190A operations in the east until June 1944, and ground-attack operations until June 1944. This is a breathtaking work, and it combines with Volume 1 to form a definitive study of the type."